With Wasamin being awfully busy from the end of this month and throughout May, I want to take every opportunity I have to go see her. This past weekend she had two appearances scheduled, one out by Narita Airport and the other in Nagano. Both of them are a bit of a trek, but of the two Narita is a lot more doable as it’s merely an hour outside of Central Tokyo on the Keisei Main Line, as opposed to Nagano, which would require a ride on the Shinkansen. In the meantime, the Kenkyuusei and Draftees were performing all weekend at the AKB48 Theater. I decided to apply for all four shows, just for the heck of it. 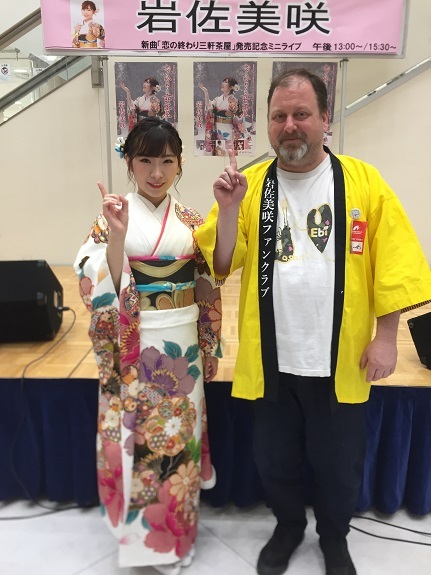 After all, I relish any opportunity I can get to play with Ran-chan. 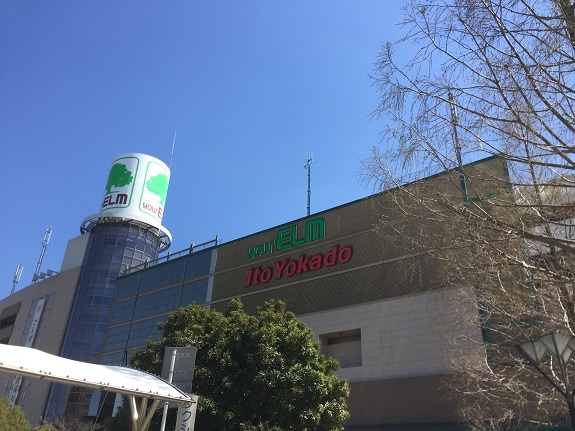 (Kobayashi Ran) As luck would have it, I received a cancel machi (waiting list) email for the matinee show on Saturday, which conflicted with Wasamin’s Narita event. However, it was a really bad cancel machi number, and I knew I had a very low chance of getting in. Ultimately I decided it was silly to bail on Wasamin for this minuscule chance of seeing a theater show, so on Saturday morning I cancelled my reservation. This was going to be a “Wasamin Day!” Oh, and I checked the cancel machi results for the show, and I wouldn’t have gotten in, as expected. They had lots of seats set out for the event, and quite a few of them were empty toward the back. However, I decided to stay in the standing area. 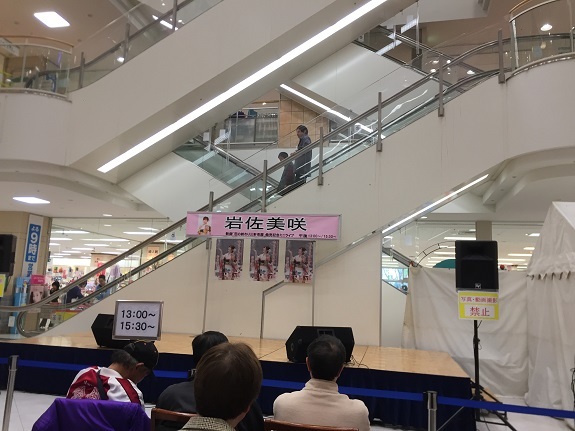 It wasn’t the most crowded mall, but unlike the mall Wasamin performed at in Saitama last weekend, it wasn’t dead either. Wasamin always makes note of it being her hometown whenever she performs in Chiba prefecture, and this weekend was busy promoting her upcoming television appearances, including her scheduled appearance on NHK Utacon Tuesday night, where she will be performing with Yamamoto Sayaka, Mizumori Kaori, May J, and ANGERME from Hello!Project, among others. Once the event was done I immediately went over to the CD table, and picked up four CDs, which would be good for a 2-shot in each event. Since I hadn’t eaten all day, I decided to queue up quickly so I could go to lunch right after. I was probably around 10th in line or so. 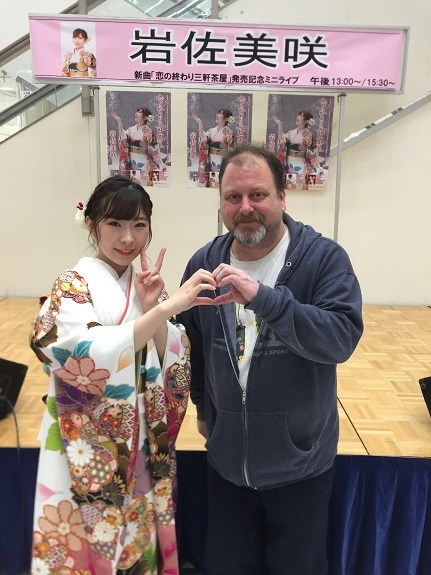 After we took the photo, Wasamin excitedly asked “Did you see me waving at you?” I knew exactly what she was talking about (I mentioned it on my previous post) At the end of the Nagara Group Concert in Tokyo on Thursday, I noticed Wasamin gesturing toward me and waving. However, I was up in the top balcony, and was unsure if she knew it was actually me, or if she just assumed it was one of her fans since I was wearing her Happi Coat. However, this answered my question. She knew it was me all along. Anyway, I responded that I thought she knew it was me, and I did notice. I went on to tell her about the Hikawa Kiyoshi fans next to me at that show who were impressed with all the things Wasamin is currently up to, exclaiming “Wasamin sugoi!” during her MC. She got really excited when I told her about that too; “HONTOU!! From there I immediately took off for the Mall food court, and settled on Omurice for lunch since I was really hungry, and figured it would be filling. After that I picked up a few groceries from the market, and then relaxed while I waited for the 2nd show. I initially grabbed a 2nd row seat, but got tired of just sitting there, coming back a little while later and grabbing a third row seat. Around twenty minutes into the trip back to Tokyo, our train suddenly came to a stop outside of Sakura Station. 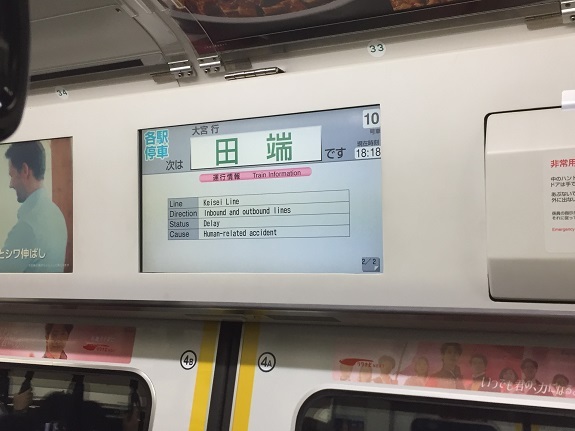 Eventually we slowly rolled into the station, where we were told there would be an extended delay due to “Emergency Construction” and that they were looking into alternative ways to get us into Tokyo. Uh oh, this was bad, and the other issue was that we were out in the middle of nowhere, and there were no other trains or buses we could catch. Our only option was to wait it out. Finally, around 45 minutes later, we were told that the train would resume service, although by this time two other trains had come into the station from Narita Airport, and they combined us all into one train. Luckily I had a seat. It was about three minutes down the line that we learned was the emergency really was. It turned out the train in front of us, the one that I just missed catching, had hit and killed someone, and the delay was to clear the tracks. Sadly, our train was forced to travel slowly passed the investigation, where we got a close-up view of the covered body. It’s times like these where you suddenly feel bad for being frustrated with the delay. I ultimately ended up getting home an hour later than expected. On a lighter note, next up for me is the aforementioned NHK Utacon performance, where I will get to see not only Wasamin, but Sayanee and Mizumori Kaori. It should be a lot of fun!